1. Alcohol: It is known that alcohol is bad for your liver. When you drink alcohol, the liver gets diverted from its other functions and focuses mainly on converting alcohol to a less toxic form. Absorption of alcohol by the liver causes fatty liver disease, inflammation of the liver and cirrhosis. 2. Obesity: People who are obese have an excess amount of body fat which tends to accumulate around the liver, causing what is known as a fatty liver disease. Obesity is also linked to cirrhosis of liver and liver failure. 3. Diabetes: Diabetes increases the risk of liver disease by 50 percent. People with diabetes due to insulin resistance have high levels of insulin in their blood, which triggers abdominal weight gain. 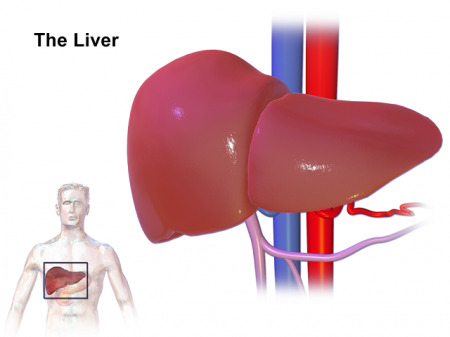 This causes the liver to store fat internally, causing fatty liver disease. 4. High salt intake: High salt intake is well known to increase blood pressure, but it can also cause fatty liver disease by building up fluid in the liver (water retention) and swelling it up. Cutting down on processed is one of the many ways to reduce your salt intake. 5. Smoking: Although cigarette smoke does not have a direct effect on liver function, harmful chemicals in cigarette smoke increase the oxidative stress of the system after reaching the liver, causing irreversible damaging to the liver cells. 6. Overuse of Medications: Overuse of over-the-counter drugs and certain prescription drugs is known to cause liver damage. Some of these drugs include antidepressants, mood stabilizers, corticosteroids (used for treating inflammation) and pain relievers. It’s therefore important to review the side effects and adverse effects of medications before taking them. 7. Nutritional supplements: Research suggests that dietary or nutritional supplements can increase the production of certain liver enzymes when taken in excess amounts, causing damage. A well-known cause of liver toxicity is an overdose of vitamin A. 8. Inappropriate use of alternative medicines: You may switch to alternative remedies to avoid the side-effects of medicines. But herbal remedies, too, can be harmful to the liver in excess amounts. 9. Chemotherapy: People undergoing chemotherapy for cancer treatment have a risk of damaging their livers because of the associated side-effects of the drugs. 10. Infections and Illness: Viral hepatitis A, B and C and autoimmune hepatitis attack the liver cells directly causing inflammation. Without proper treatment, hepatitis can cause cirrhosis of the liver (hardening and scarring of liver tissue) and may gradually lead to liver failure.